I love talking to people right after they complete a detox. After years — even decades — of an unhealthy lifestyle, detox alumni are so energetic and empowered. Detoxers who have eliminated sugar, gluten, dairy and processed foods often tell me about how thrilled they are to see their bodies change. They tell me about reduced bloating, improved digestion, inches lost from the belly and thighs — and some impressive weight loss. During a detox, they’ve learned how adequate sleep and exercise can provide extra energy, improved immune system function, and a sense of vitality. Joint pain lessens or disappears. They learn how to like — and even crave — vegetables. After a couple weeks of clean living, these people are literally high on life. Regular life — the Standard American Culture — intervenes. A few weeks creep by, and the vacation or weekend indulgences morph into unhealthy habits. All of a sudden, the former detoxers are back into the coffee and cocktails. Sugar in all forms starts rearing its ugly head. The pounds come back on, and the skinny jeans fall out of rotation. When people tell me they’re discouraged they’ve fallen back into old habits, I completely relate to their frustration. Because I’m often experiencing the same push-and-pull of healthy and unhealthy habits myself. It’s a fine line between an indulgence and a habit, and the modern American lifestyle certainly doesn’t make it easy for us to stay on the “good” side. Especially when we’re short on time. Or we’re stressed. Or we have a calendar full of social commitments and nights out. 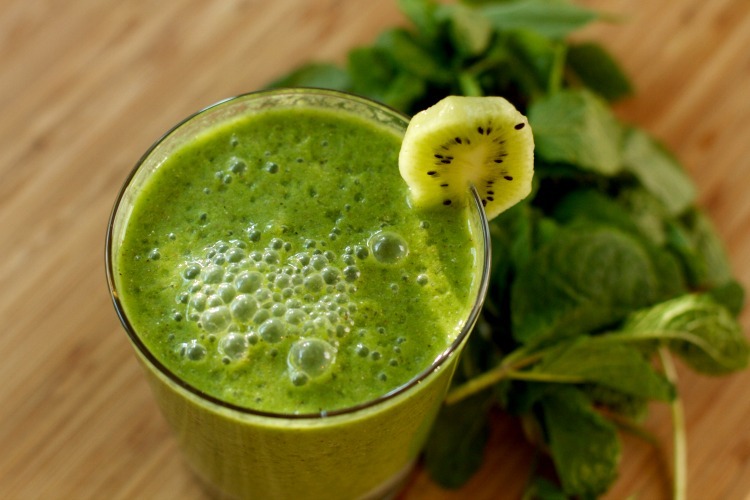 So what do we do when we’ve re-toxed our detox? Eating a healthy breakfast improves concentration and cognition, boosts metabolism, stabilizes blood sugar levels, and reduces cravings and overeating later in the day. Psychologically speaking, it also helps set the tone for the rest of the day. For example, focusing on healthy choices first thing in the morning can help you be more mindful about making additional healthy choices as the day goes on. In contrast, starting the day out with a break room donut often leads people to cave in for their other meals — they reason that if they’ve blown it on one meal, they might as well throw in the towel on the whole day. Need a recipe? 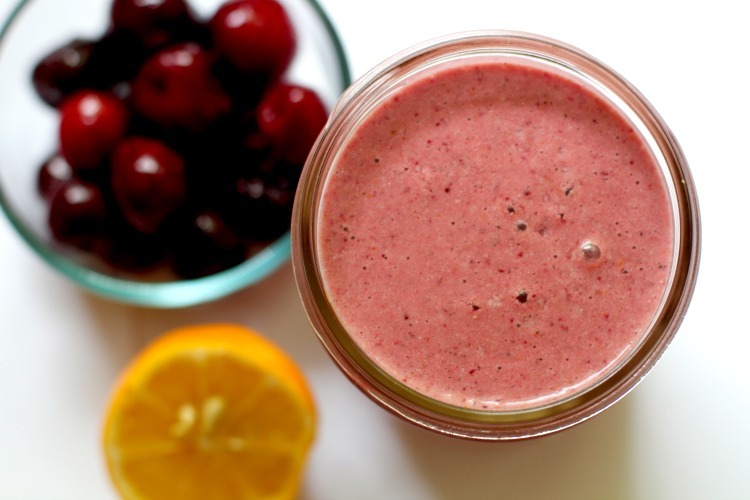 Try my Cherry Lemon Smoothie or Bloat Buster Smoothie. 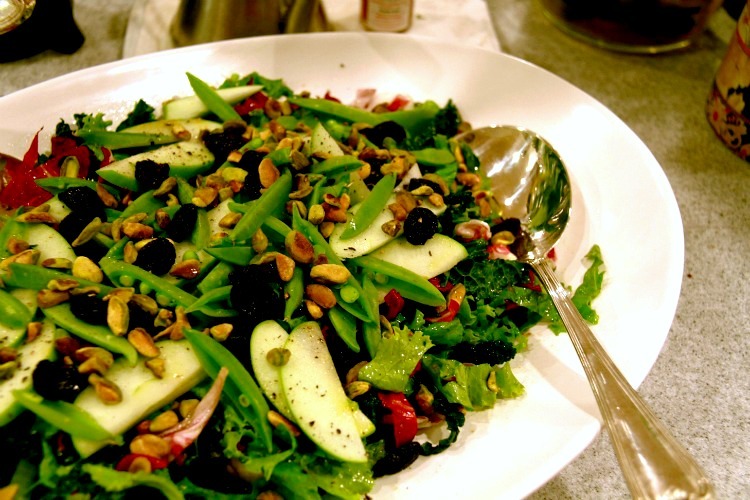 Having a huge salad for lunch is a great way to fill up your body with fiber, nutrients, and healthy fats. No matter what happens — or doesn’t happen — at breakfast time, you can make up for it by flooding your body with nutrients. The fiber supports digestion and moves toxins out of your body, while the many different antioxidants from the greens and other veggies further boost detoxification and support your immune system. Healthy fats from nuts, salmon or avocado can support heart and brain health, reduce inflammation in the body, and foster healthy skin and hair. Be sure to add some protein to help optimize metabolism and blood sugar levels. Did you know that when you feel hungry you may actually just be thirsty? It’s true! 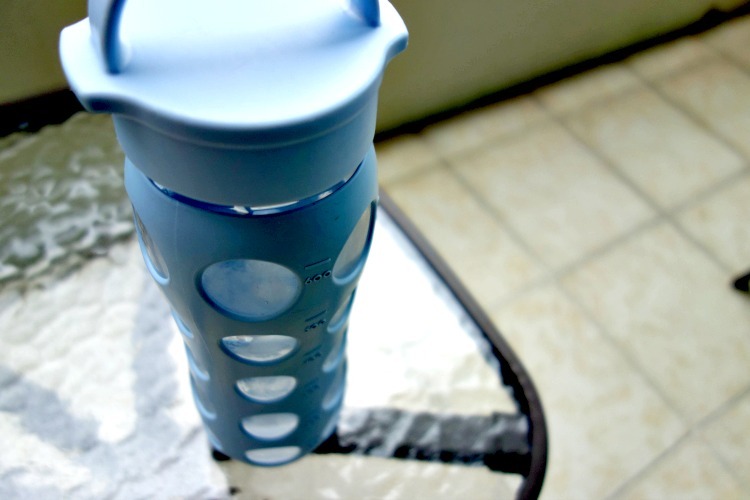 Sipping water throughout the day helps keep hunger pangs at bay, improves digestion, flushes out toxins, aids weight loss — and it even gives us clearer skin. If you don’t like plain water, try a squeeze of lemon or lime to make it more palatable. Failing to get adequate sleep or rest wreaks havoc on the body. Lack of sleep messes with metabolism, hormone levels, heart function, mood, memory, and your immune system. Lack of sleep — and stress — both raise cortisol levels in the body. Excess levels of cortisol, also known as the “stress hormone,” have been linked to weight gain and retention. So do yourself a big favor, in spite of our culture’s glorification of busyness. Reduce your commitments, unplug from the TV or laptop or Facebook early, and get the rest you need. Seven hours, eight — I dare you to go crazy and get 9 hours on a regular basis. In many ways, I think this is actually the most important tip. When we learn how to truly love and accept ourselves — even with what John Legend calls our “perfect imperfections” — we’re even more empowered to bring positive, lasting change to our lives. On the flip side, if your internal soundtrack is a repeating loop of “you’re so fat why can’t you be skinny why can’t you stop feeding your face you fat pig,” how empowered do you think you can be? If you had a friend who was constantly in your ear, berating you and telling you how and why you would continue to fail time and time again — would you stay friends? Of course not! We all have a critical voice, and true transformation comes from learning how to turn down the volume on that critical voice, and amplify the “good” voice. One way to do that would be to write a mini love letter to yourself at night — write down 3 healthy choices you made that day, and commend yourself for making those decisions. Maybe even reflect on some healthy intentions for the next day. Whatever you do, praise yourself for the ways you are already taking care of yourself. Compliment yourself often — the rest will take care of itself. I hope this post helps all of you detox alumni — and anyone else for that matter — get back on track. If you have any other tips to share, please post a comment below. I’d love to hear from you!